Today’s lesson may seem mundane; despite its subtlety, it is actually quite important. I needed to spend some time to learn it and digest it, and it was time well spent – these concepts are essential for understanding much of thermodynamics. For brevity, I have not dived into the detailed mathematics of exact differentials, though I highly recommend you to learn it and review the necessary calculus. Some thermodynamic properties of a system can be described by state variables, while others can be described by path variables. State variables can be calculated by exact differentials. There is no such thing as heat or work being possessed by a system. Heat and work can be transferred between the system and the surroundings, but the end result is an increase or decrease in internal energy; neither the system or the surroundings possesses heat or work. A state/path variable is also often called a state/path function or a state/path quantity. When the temperature of a system increases, the kinetic and potential energies of the atoms and molecules in the system increase. Thus, the internal energy of the system increases, which means that the enthalpy of the system increases – this is true under constant pressure or constant volume. Recall that the heat capacity of a system is the amount of energy that is required to raise the system’s temperature by 1 degree Kelvin. Since the heat absorbed by the system in a thermodynamic process is the increase in enthalpy of the system, the heat capacity is just the change in enthalpy divided by the change in temperature. Let’s examine the difference between a change enthalpy and a change in internal energy. It helps to think of the following 2 scenarios. This heat is denoted as to indicate that this is heat transferred under constant volume. In this case, the change in enthalpy is the same as the change in internal energy. This heat is denoted as to indicate that this is heat transferred under constant pressure. Thus, as the gas forms inside the cylinder, the piston pushes against the constant pressure that the atmosphere exerts on it. The total energy released by the chemical reaction allows some energy to be used for the pressure-volume work, with the remaining energy being released via heat. (Recall that these are the 2 ways for internal energy to be changed according to the First Law of Thermodynamics.) Thus, the difference between enthalpy and internal energy arises under constant pressure – the difference is the pressure-volume work. Reactions under constant pressure are often illustrated by a reaction that releases a gas in cylinder with a movable piston, but they are actually quite common. 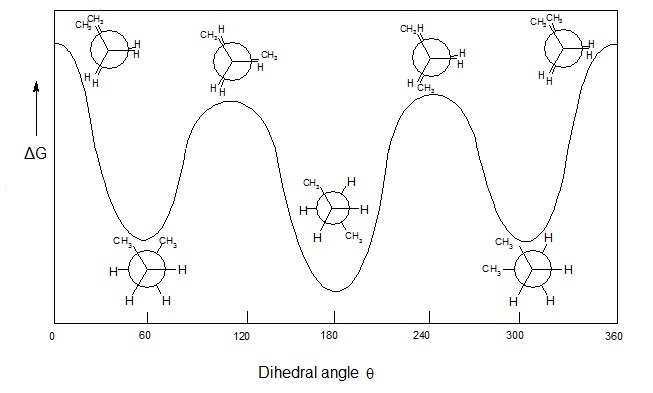 In fact, in chemistry, reactions under constant pressure are much more common than reactions under constant volume. Chemical reactions often happen in beakers, flasks or any container open to the constant pressure of the atmosphere. The enthalpy of a system is the system’s internal energy plus the product of the pressure and the volume of the system. Just like internal energy, the enthalpy of a system cannot be measured, but a change in enthalpy can be measured. Suppose that the only type of work that can be performed on the system is pressure-volume work; this is a realistic assumption in many chemical reactions that occur in a beaker, a flask, or any container that is open to the constant pressure of the atmosphere. Then, the change in enthalpy of a system is the change in internal energy plus the pressure-volume work done on the system. A system is the part of the universe of interest, and the surroundings is everything else in the universe. The internal energy of a system is the sum of the kinetic and potential energies of all of the particles (atoms and molecules) in the system. This cannot be measured, but changes in internal energy can be measured. There are 2 ways in which the internal energy of a system can change: heat and work. Heat is the transfer of energy between 2 objects due to a temperature difference. In chemistry, heat is commonly observed when a chemical reaction absorbs or releases energy. Work is force acting over a distance. In chemistry, a common type of work is the expansion or compression of a gas. In chemistry, it is conventional to take the system’s point of view in deciding the sign of heat and work. Thus, if heat is entering the system or if work is done on the system, then the sign is positive. If heat is exiting the system of if work is done by the system, then the sign is negative.